3YOURMIND GmbH, a FABulous & FIWARE Programme supported start-up, has announced the successful completion of its 2nd financing round with EOS founder Dr. Hans J. Langer as lead investor. The round will see the Berlin-based company obtain a seven digit sum for business expansion and rapid internationalisation. Founded in 2014 3YOURMIND is a spin-off company of the Technical University of Berlin. 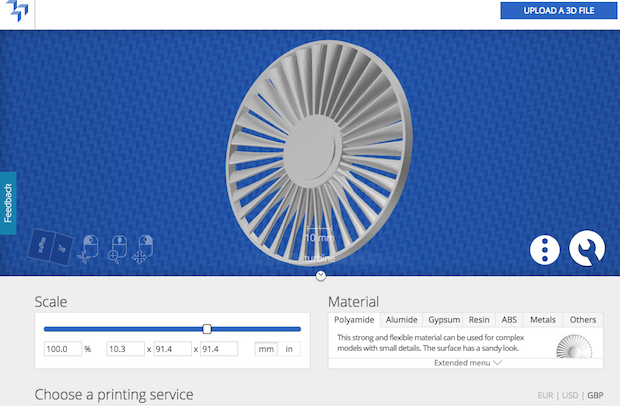 The company launched the online-platform 3yourmind.com in March 2015, which facilitates professional printing of 3D data directly out of CAD programs. 3D-data can be adjusted, edited and sent to comparable printing service providers including Shapeways, i.materialise, Sculpteo and Trinckle. Plugins for all established CAD-programs are available for free at the platform to allow engineers to extend their software for automatic data correction and print preparation. This Platform, known as ASPIRATION is one of the projects of FABulous/FIWARE portfolio.